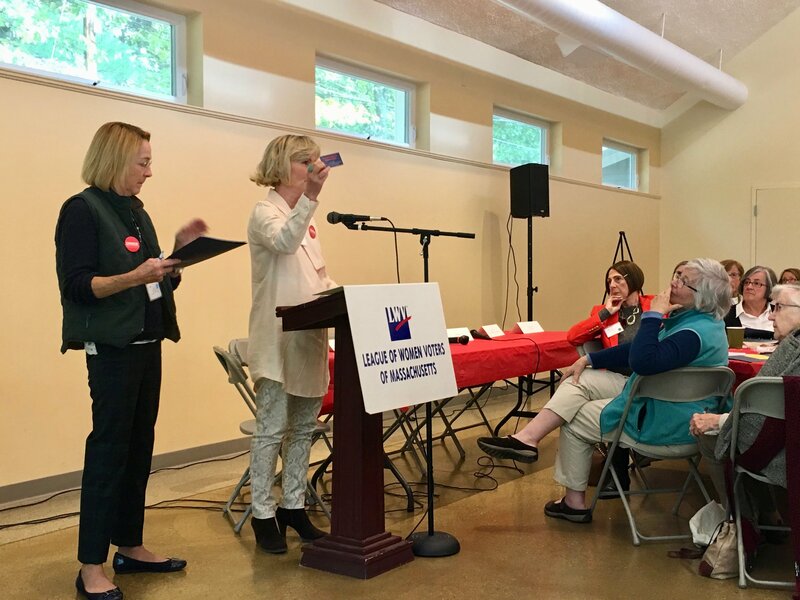 Meetings and events are important aspects of the LWV. 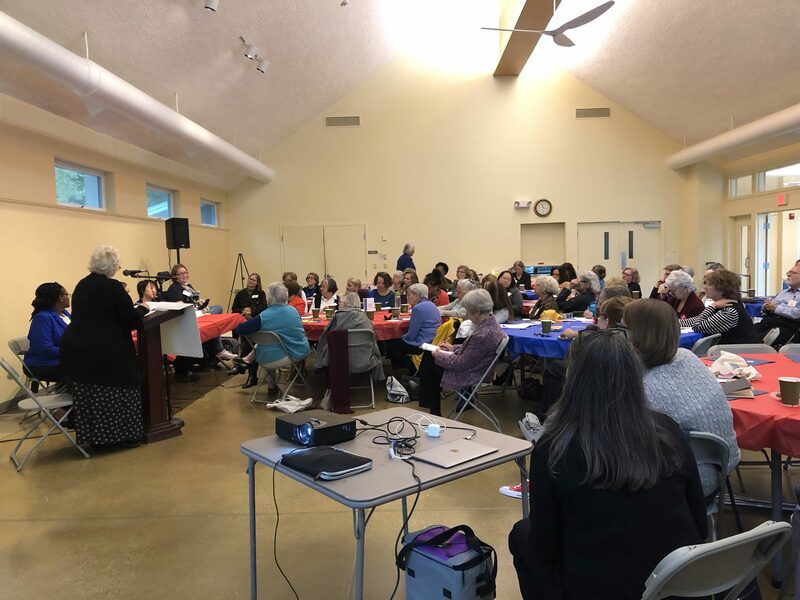 They provide an opportunity to meet other members, learn about new programs and initiatives, discuss activities, debate issues and have some fun. 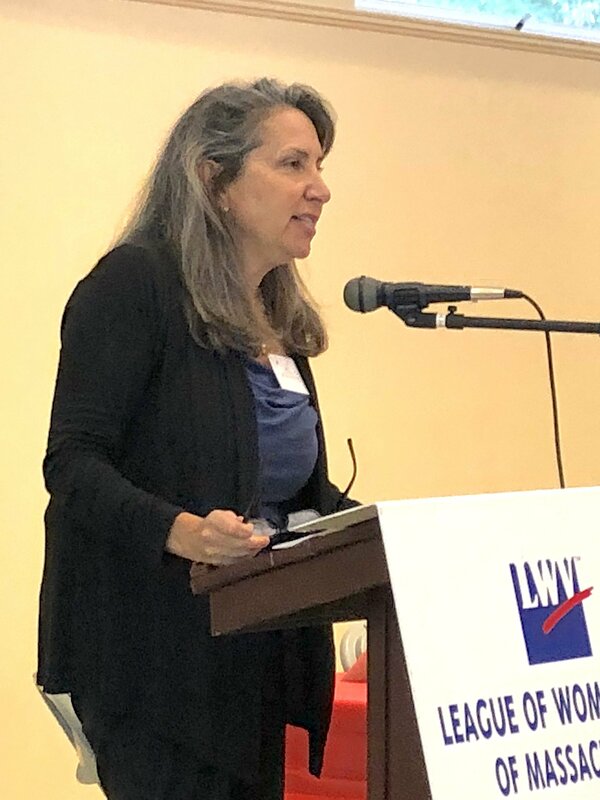 Convention and Council: The two-day LWVMA Convention is held in the spring during odd-numbered years; LWVUS Convention is held in even-numbered years. 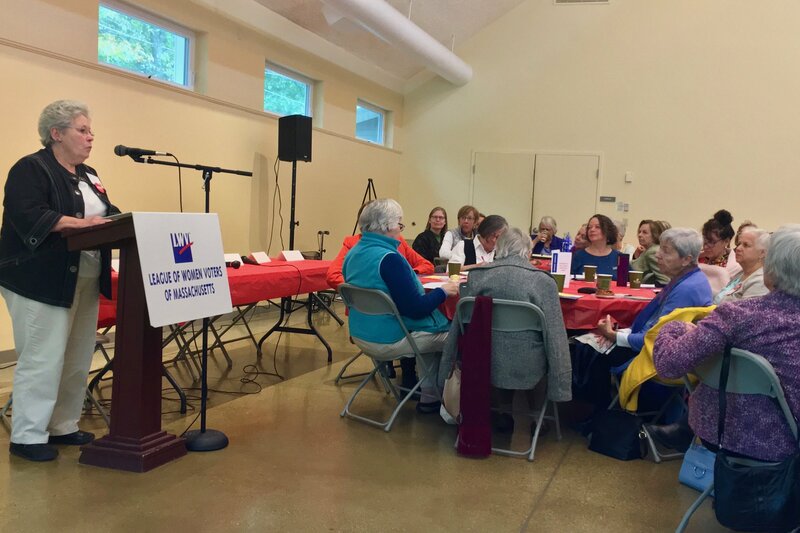 In even-numbered years, LWVMA also holds a one-day event (formerly Council). 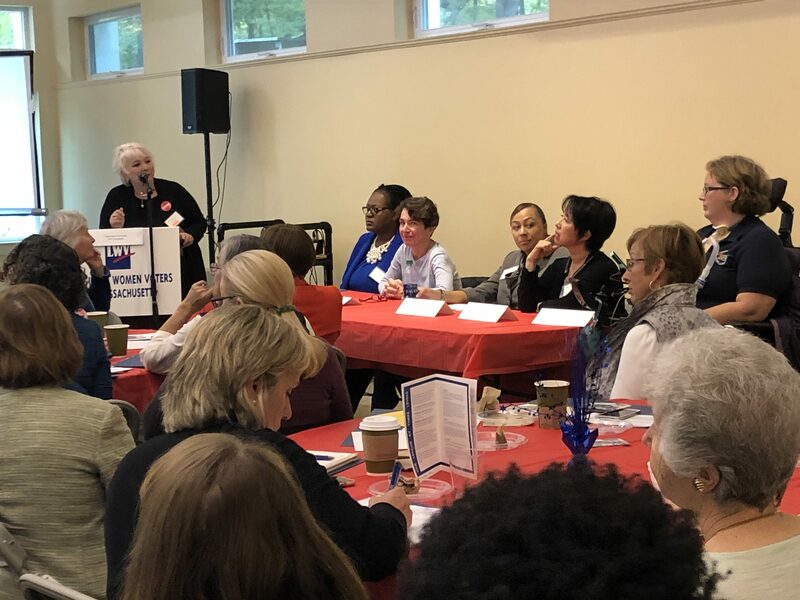 The next LWVMA Convention will be held on June 7 and 8, 2019. 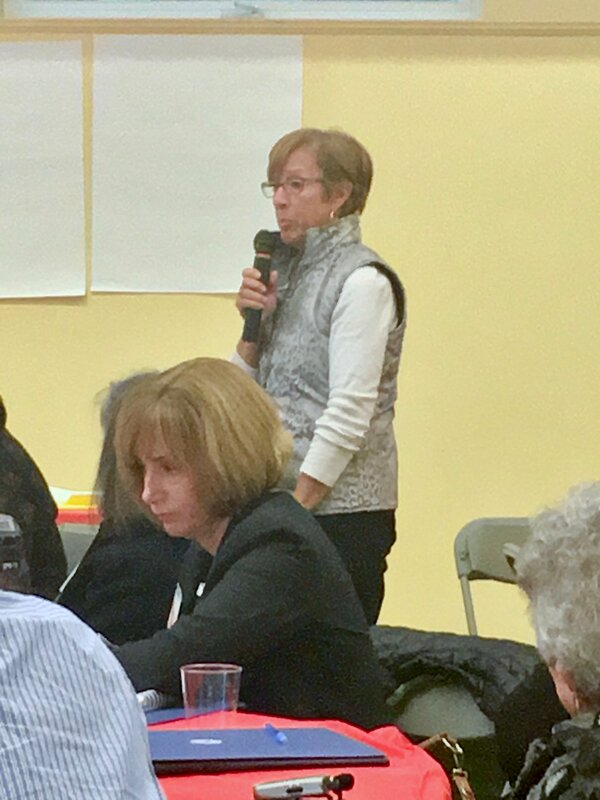 More information is available here. 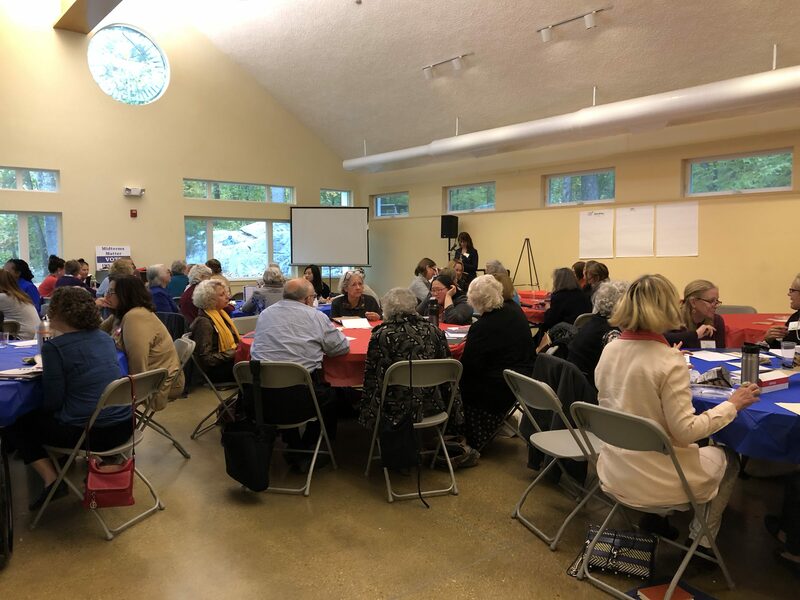 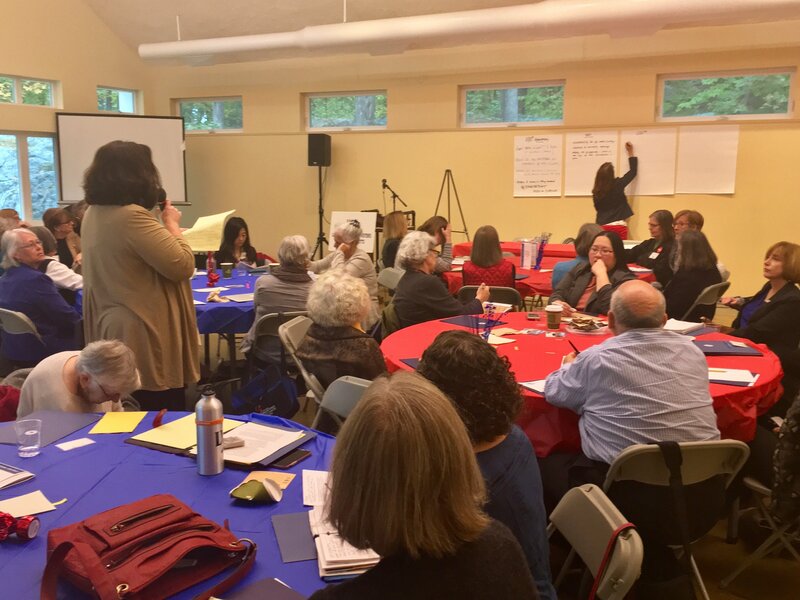 League Leader Lunches: These fall events provide an opportunity for League leaders from around the state to come together informally to share ideas and learn about activities and resources sponsored by LWVMA. 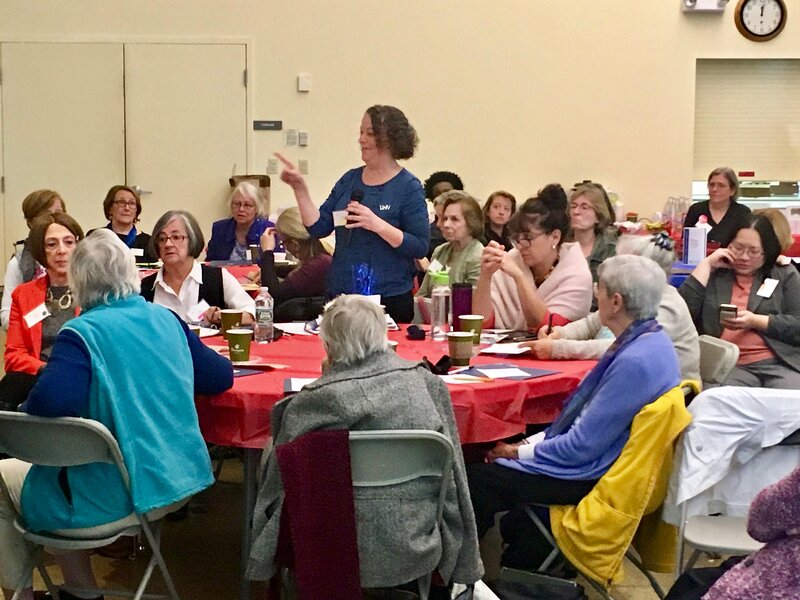 Schedule for 2019-20: Just click on the calendar to check for upcoming events. 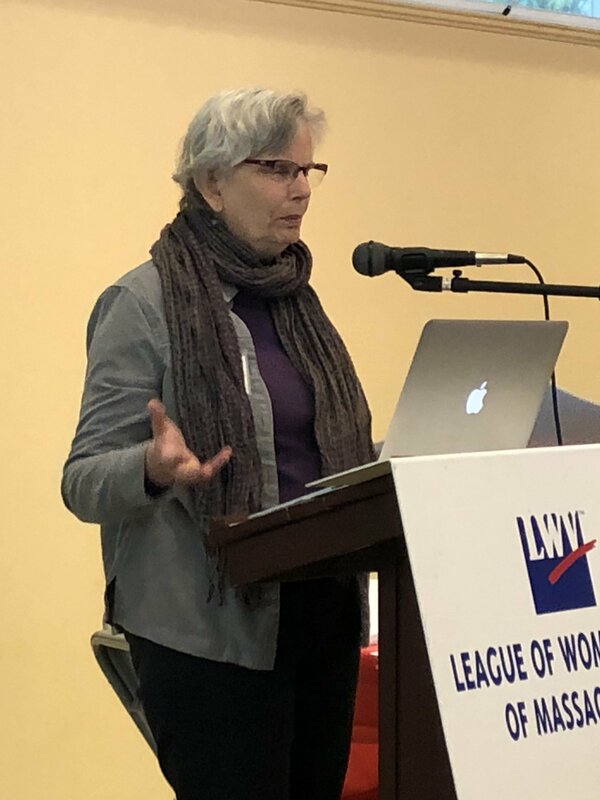 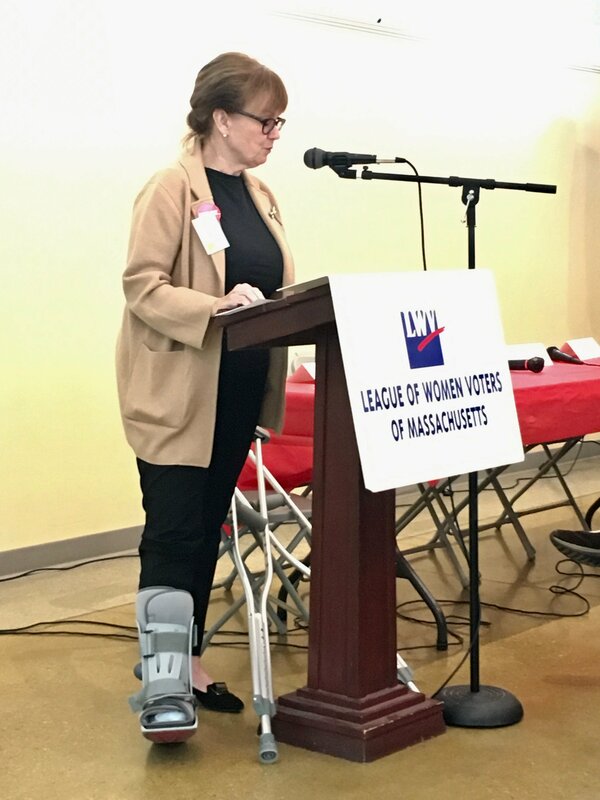 The second panel, which was moderated by Marilyn Peterson of LWV Acton Area, focused on different forms of local League governance. 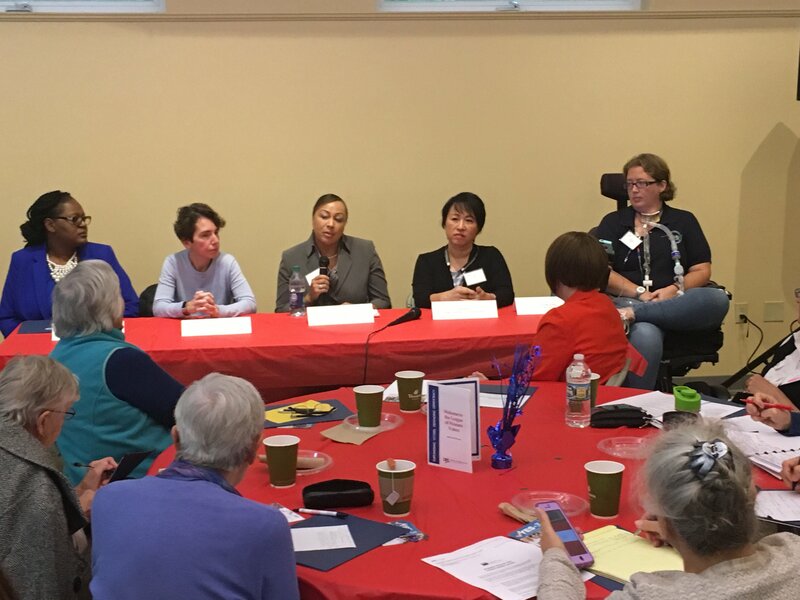 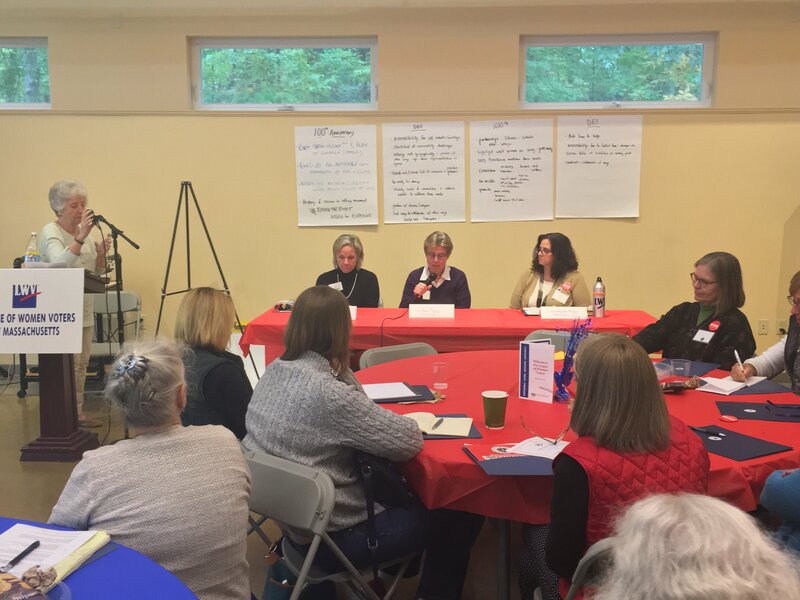 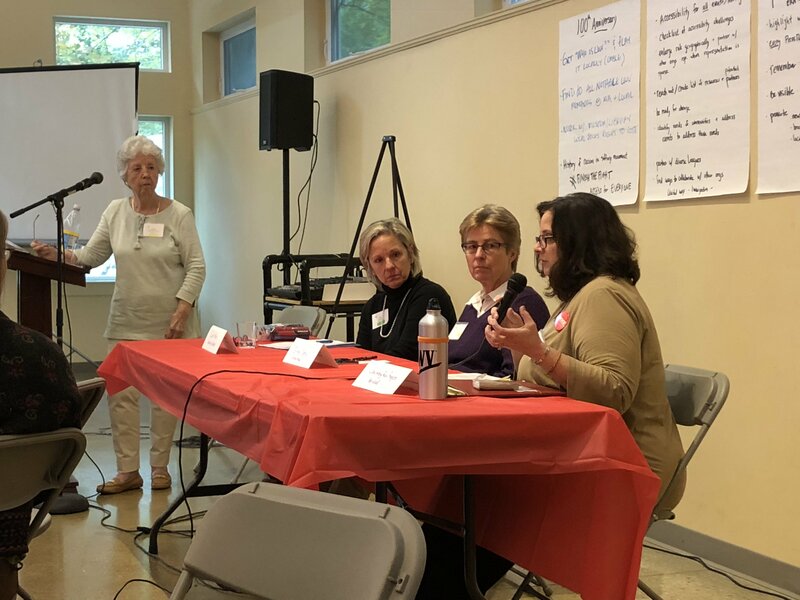 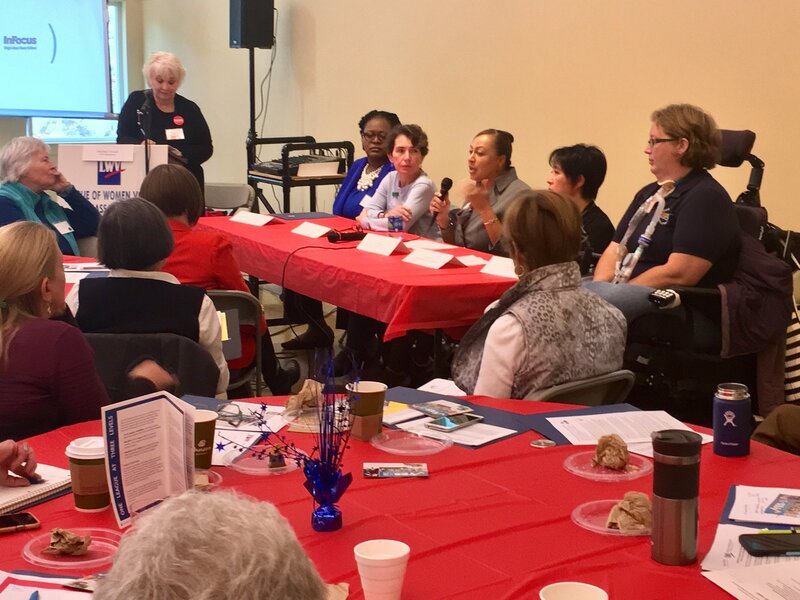 We are grateful for the participation of Carin Kale (LWV Hamilton-Wenham), Jo-Ann Berry (LWV Acton Area), and Courtney Rau Rogers (LWV Norwood). 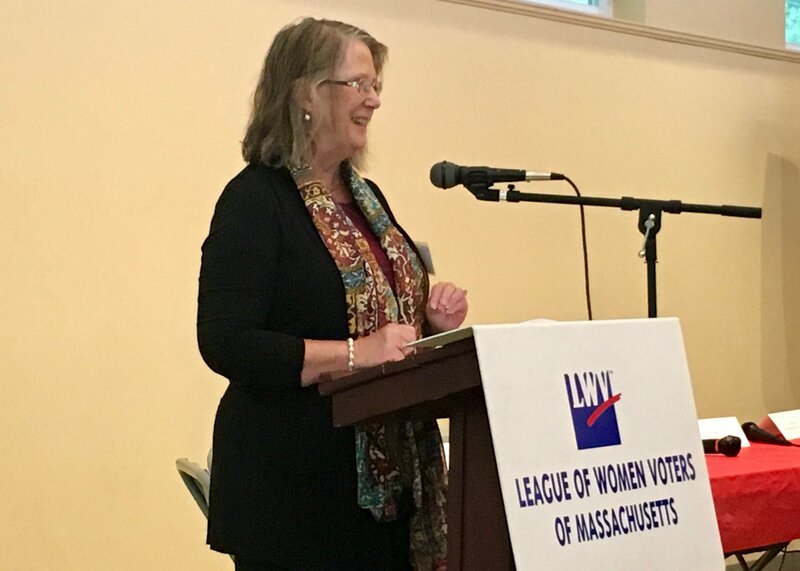 Many thanks to our co-host, LWV Harvard, who made us feel welcome in a great venue in a central location.